A lawsuit launched by a controversial Toronto mayoral candidate against Bell Media after the broadcaster refused to air her campaign advertisement on a local television station has been dismissed by an Ontario Superior Court justice. 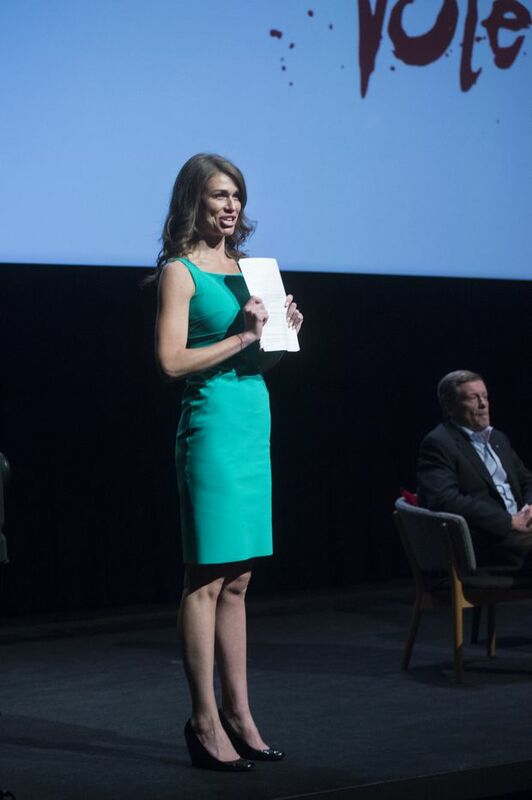 Toronto mayoral candidate Faith Goldy during an ArtsVote 2018 debate in September. Goldy had not been invited and was eventually escorted off the stage.